The speculative anthology Black Mirror has always been curious (and anxious) about the intersection of technology and perception, finding inspiration in the many ways the march of electronic progress blinds and binds its participants. As the British import returns to augment our reality for a third time—and first for thematically appropriate Silicon Valley behemoth Netflix—it expresses a renewed interest in the disconnects of the connected world. In these six episodes, characters poke at digital projections, are immersed in elaborate simulations, and answer online sins with IRL consequences. They can see these “layers on top of reality” (in the words of the gaming-centric “Playtest”), but they yearn for tactile feedback as well. Science-fiction anthology. Complete third season watched for review. And so does Black Mirror. A series of standalone stories set in various dystopian futures risks alienating its viewers as readily as it terrifies them. 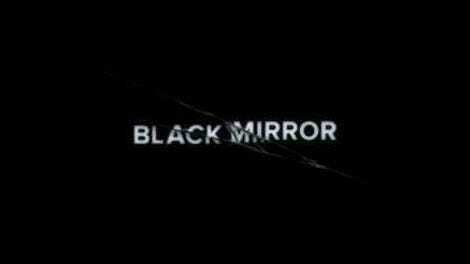 It needs to provide reasons to care about the fictional people being used and abused by its fearful concepts, which Black Mirror does by appealing to and subverting the audience’s sympathies. Current events circa 2016 have bestowed an air of prescience upon “The National Anthem” and “The Waldo Moment,” but the show’s truest triumphs are stories like “Be Right Back” or “The Entire History Of You,” where the intimacy makes the emotional toll of advanced tech more acutely felt. (And that’s saying nothing of the queasy ride of “White Bear,” which blends scales small and large before going all funhouse stairs on our affiliation with the protagonist.) The increased episode count of season three allows Black Mirror to show off its full range of tricks, but it’s the episodes that make a play for resonance—“San Junipero,” “Nosedive,” and “Men Against Fire”—that stand out. Not coincidentally, “Nosedive” and “San Junipero” also represent season three’s greatest tonal departures, the latter bringing director Joe Wright and co-writers Michael Schur and Rashida Jones into the fold, while the former reunites series creator Charlie Brooker with “Be Right Back” director Owen Harris. But even with these advanced features, Black Mirror remains subject to the hit-or-miss vagaries of the anthology format. No season-three episode is a total whiff in terms of premise, but the inventiveness isn’t evenly distributed, either. “Shut Up And Dance,” starring Alex Lawther and Jerome Flynn, treads some of the same ground as “White Bear”; “Hated In The Nation” teams Kelly Macdonald and Faye Marsay for a feature-length mystery that’s a little bit Fincher, a little bit Nordic noir, and, at points, a whole lot of silly. As a veteran police detective and a newcomer fresh out of digital forensics, Macdonald and Marsay keep “Hated In The Nation” on its feet, wringing as much suspense out of typing-and-reading scenes as they do from a Hitchcockian ambush sequence. But “Hated In The Nation” is also balancing a tremendous amount of thematic weight for something could serve as the pilot for a show called Twitter Cop. In a genre where drab industrial aesthetics are handed out like so many Victory Cigarettes, the most satisfying installments of season three have a visual playfulness that extends beyond onscreen doodads. “San Junipero” is bathed in the warm nocturnal glow of neon bar signs and arcade cabinets, the California beach town of its title a self-conscious challenge to fans who fretted that the Netflix deal would “Americanize” Black Mirror. The season’s postmodern feedback loop is rigorous: “Playtest” puts on a mini-horror movie that draws on survival-horror games inspired by (you guessed it) vintage horror movies, while the battlefield tech of “Men Against Fire” contains traces of first-person shooters. The new episodes run through a full wardrobe of filmmaking styles, finding that buddy-cop pictures and coming-of-age-romance make a splendid fit for digital-age apprehensions. If anything, the latter suggests that “Black Mirror” and “apprehension” needn’t be spoken of in the same breath. 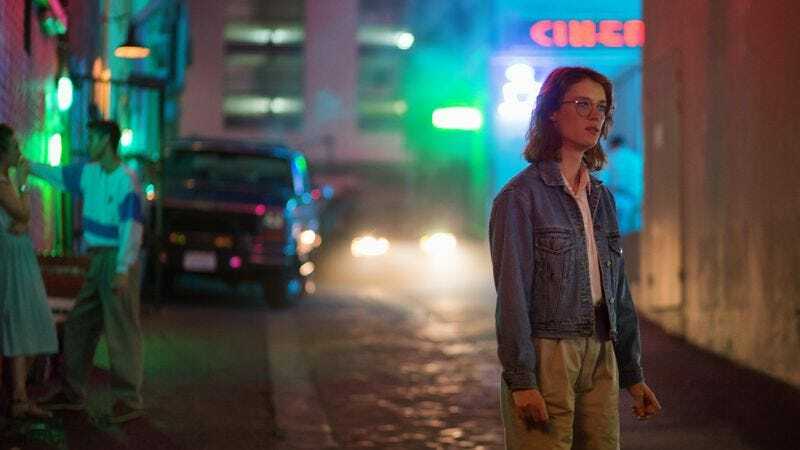 “San Junipero” doesn’t end on a completely sanguine note, but the relationship Gugu Mbatha-Raw and Mackenzie Davis forge over whiskey Cokes and Alexander O’Neal shakes Black Mirror from “all despair, all the time” mode. (It’s definitely the first plot-twist-dependent episode of the series where going back to unravel its secrets requires no summoning of courage.) That’s not to say that the show has lost its edge in the time that’s passed since “White Christmas”: The five other episodes present plenty of arguments for destroying all of your personal electronics and living off the grid. But in “San Junipero,” Brooker acknowledges that a small subset of the population could find legitimate and lasting escape in advanced technology. For once, there’s a glimmer of hope on Black Mirror’s ominous horizons. Reviews by Zack Handlen will run daily beginning October 21.